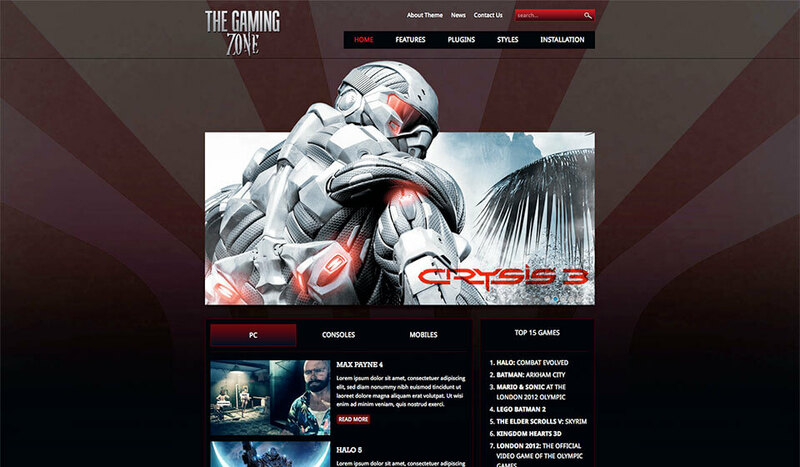 Responsive theme for any news portal, especially those related to the gaming industry. 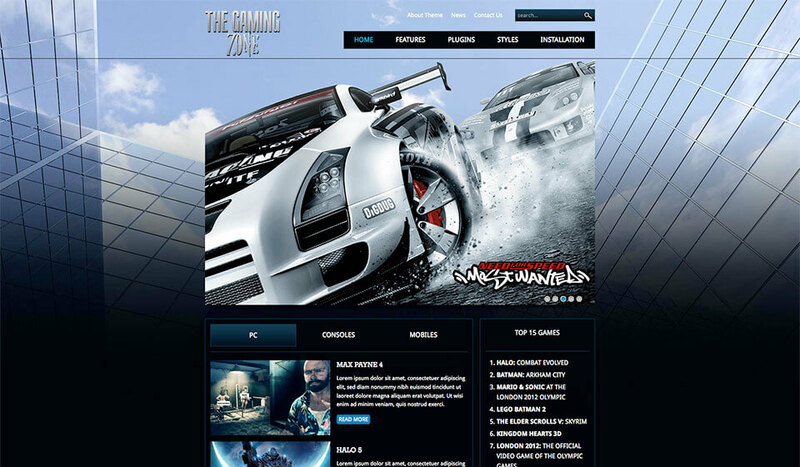 Responsive WordPress gaming themes like Hot Gaming Zone are usually related to the industry of the electronic games. 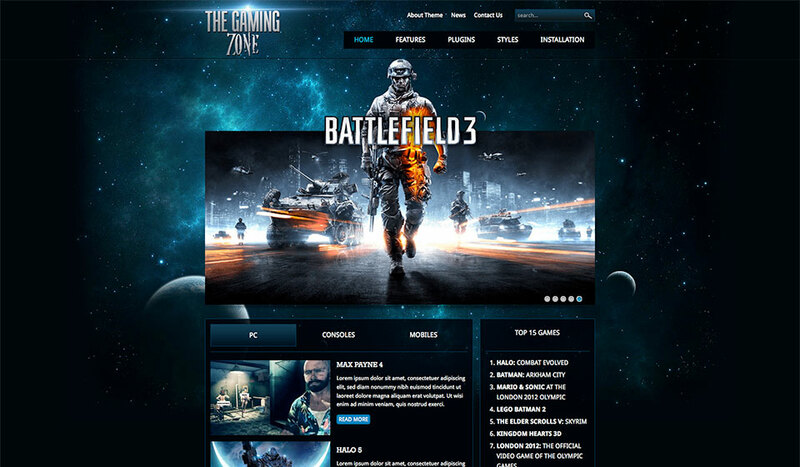 It’s a good starting point in development of any news portal, especially those related to the gaming industry. The dominant place of the WordPress gaming themes is reserved for slideshow. This is a collection of transparent images that represent heroes from video games. Those slides can be used as intros to the posts that describe new video games. On the home page, we used the Hot Effects Rotator plugin. The similar effect can be also achieved with Hot Slicebox plugin (both plugins are included in the theme package). News portals present articles related to various topics. 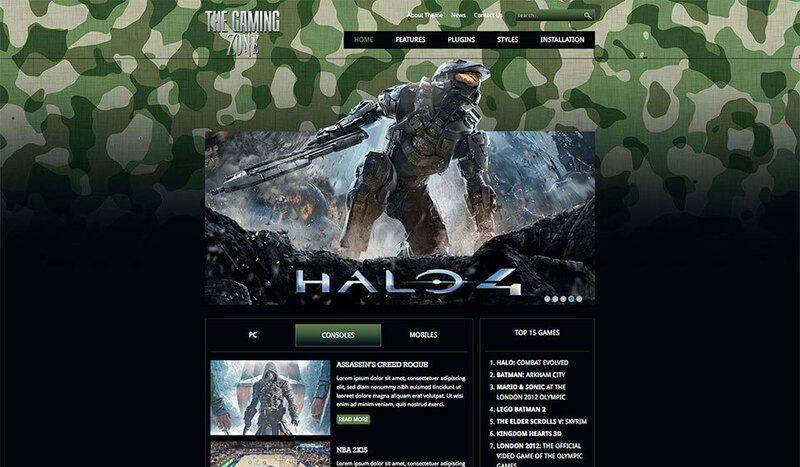 Therefore, we categorized the posts on our WordPress gaming theme into 3 tabs. On our demo, those tabs are PC, Consoles and Mobiles. You can pick categories that’s appropriate for your news portal here. Each of these tabs will show posts from the selected category. This can be done easily thanks to the Hot Cat News plugin. 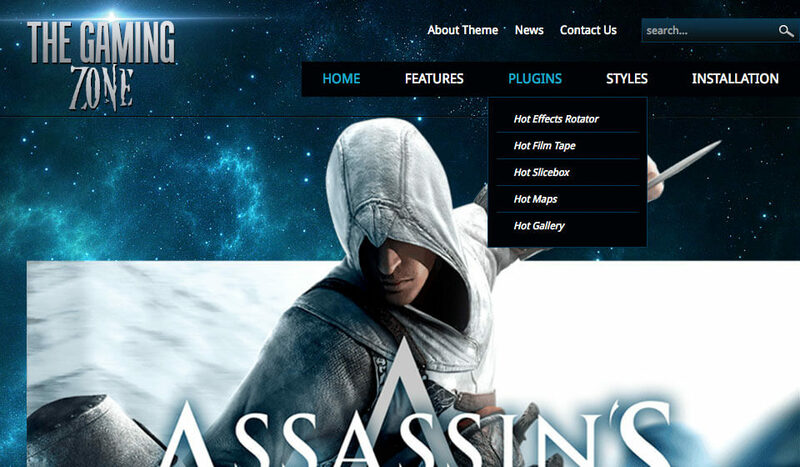 This plugins is included with the Hot Gaming Zone theme. 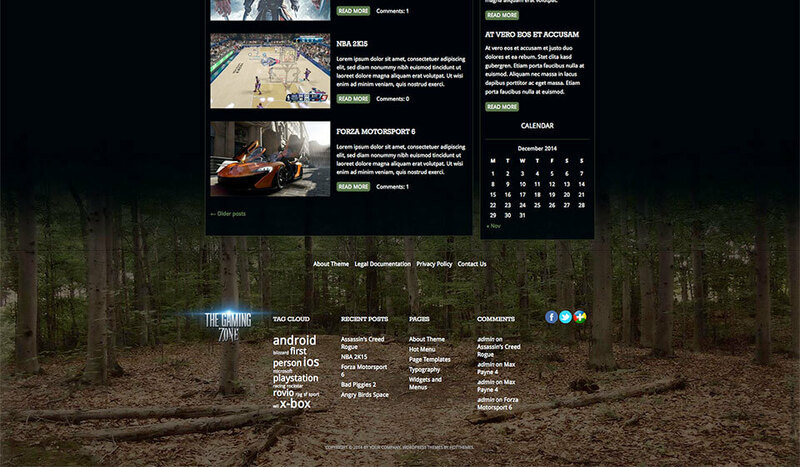 WordPress gaming themes usually show list of popular games. 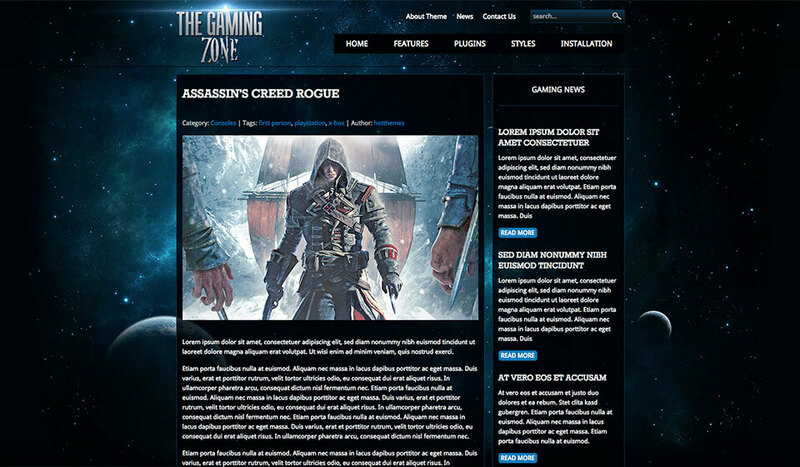 Before the main content area with latest posts, Gaming Zone includes the Hot Film Tape widget. It rotates multiple images at the same time. 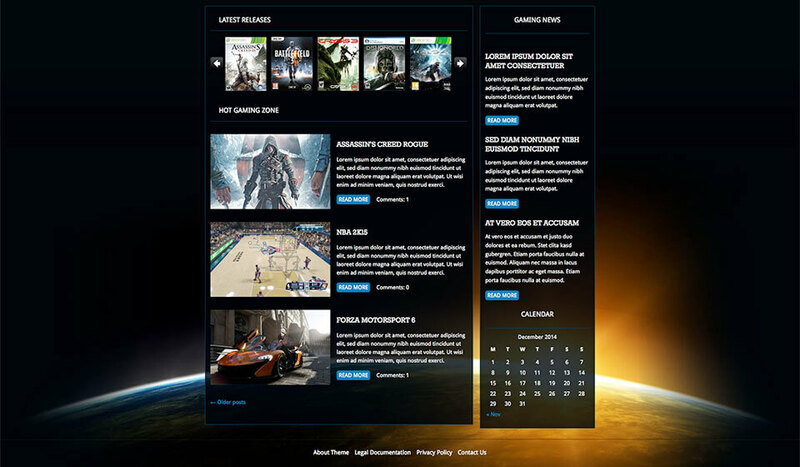 In this theme, we used this responsive plugin to show the boxes of the latest video games. This theme can have one, two or three columns. The middle column is always used for the main content from WordPress, while the other one or two displays the widgets. We did our best to make this theme as mobile friendly as possible. When accessing any responsive WordPress gaming themes with mobile device, user expects a good UI. Depending of the screen size, this theme will change its layout. We tried to allow users to access all the areas of the news portal easily using tablets and smartphones, and to read the posts with pleasure. 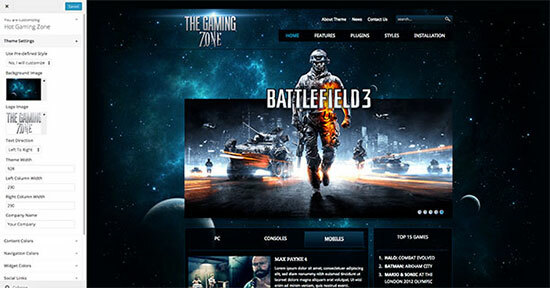 Hot Gaming Zone is a responsive WordPress theme. This means it is optimized for use on all desktops and notebooks, as well as mobile devices (tablets and smartphones)!